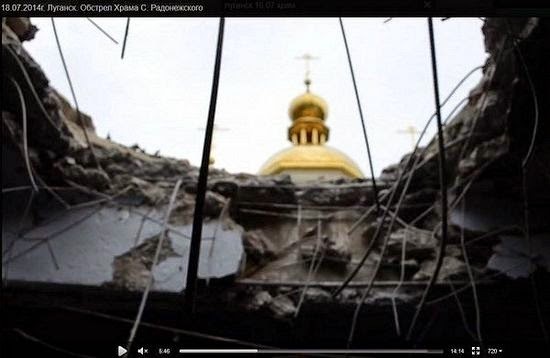 from Russia with love: Orthodox churches, destroyed by the Kiev's army in Donbass. 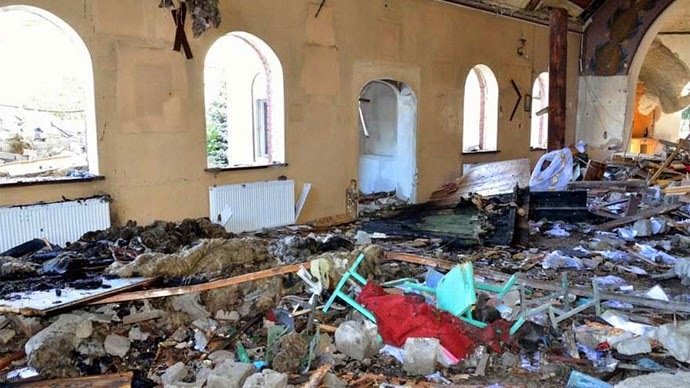 Orthodox churches, destroyed by the Kiev's army in Donbass. A video released by the Diocese showed that there is no roof and most of the church’s walls have been turned into rubble. 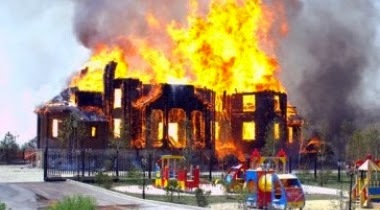 In Saturday’s attack, also on a St. John Kronstadt Church, this time in the city of Kirovskoye, in the Donetsk Region, the church was totally destroyed during an all-night vigil, Gorlovsky and the Orthodox Diocese said on its website. The shell hit the roof of the building, which crashed onto worshipers. “People were praying. Three of them were killed. We lost our loved ones,” a local woman told RT. Among the victims of the attack was one of the church wardens and two parishioners. Several people were injured as well, added the Diocese. The tragedy of war in Ukraine goes far beyond life and death. It is also a spiritual battle - an eternal conflict of good and evil amplified. The very foundation of the Russian Slavic World - the spirit of Christian Orthodoxy, is being deliberately attacked by the new Ukrainian forces in power. So far, five targeted deaths of clergymen of the Ukrainian Orthodox Church, by far the largest confession in Ukraine, which belongs to the main Russian Church in Moscow, have been recorded. Ever since Maidan events back in February, numerous truly outrageous incidents of violence against the clergy have occurred in continual attempts to intimidate them. Father Vladimir of St.George Church was murdered in Lugansk by the Ukrainian Army. A dead priest, hit by shrapnel when his church was bombed. 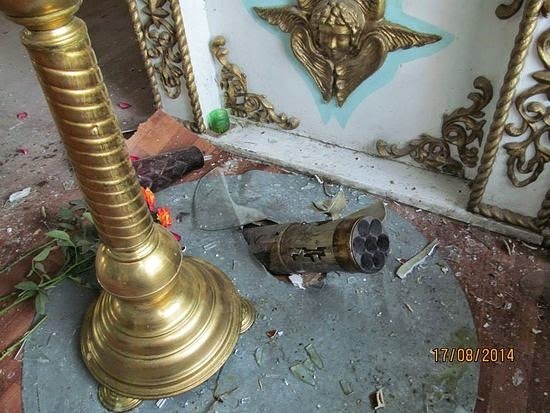 At night of August 16 to 17 during an attack, a shell from the Grad (“Hailstones”) missile hit the Church of Sts. Peter and Paul in Mospino village of the Donetsk region. On August 17 no service was celebrated at the church.